ALLIED IRISH BANKS (AIB) has hit back at claims by the bankrupt former government minister Ivan Yates that it unfairly targeted him in seeking to recoup debts he owes the bank. In a highly unusual move, the bank has commented on the case of the former Newstalk presenter who accused AIB of harassing and intimidating his family in pursuit of debts he owed them following the collapse of his bookmaking firm. The bank said it was disappointed with the comments Yates made in an interview with the Sunday Independent and insisted that it does not set out to target specific individuals. Yates was declared bankrupt in the UK last week having previously been the subject of an AIB attempt to have him declared bankrupt in the High Court in Dublin under the more stringent Irish bankruptcy laws. The former Fine Gael minister previously claimed AIB had pursued him with “sense of vindictiveness and a desire to make an example of me as a high-profile individual”. Speaking to the Sunday Independent yesterday, Yates said he would an “economic zombie for a year” following a Welsh court’s declaration that he is bankrupt, a process which will see him discharge his bankruptcy in August of next year under the UK’s less stringent bankruptcy laws. Yates has been living in a Swansea since April following the collapse of his Celtic Bookmakers firm and claimed that the bank had “harassed and intimidated me and my family since April”. “When I left Newstalk on Thursday Apr 3, the following day, Good Friday Apr 4, they tried to serve a summons on my 80-year-old mother as she was leaving Mass,” he told the Sunday Independent’s Ronald Quinlan and John Drennan. But in a statement issued this evening, AIB said that while it does not usually comment on individual cases it noted “with disappointment” the comments attributed to Yates at the weekend. “AIB had originally sought, in good faith, to negotiate a solution with Mr Yates,” the statement said. “AIB is acutely aware of the financial difficulties facing many individuals and businesses in Ireland. The bank is working in good faith, on a case by case basis,with customers to agree, wherever possible, solutions based on consensus. “AIB acknowledges that the vast majority of our customers are working collaboratively with us to resolve their difficulties. “AIB does not set out to target specific individuals in any circumstances andapproaches each case on its own merits. AIB only pursues bankruptcy in a limited number of customer cases and for valid and considered reasons. “These potentially include situations where a customer, in AIB’s view is no longer co-operating with the bank or where a customer seeks to establish residency in another country which might result in a lower recovery for the bank and the Irish taxpayer. Email “AIB hits back at claims it 'harassed and intimidated' Ivan Yates ”. 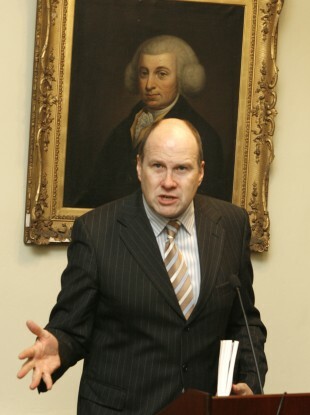 Feedback on “AIB hits back at claims it 'harassed and intimidated' Ivan Yates ”.